2) Pacifier Medicine Dispenser: It is inevitable that your baby will get sick. This is when you are going to feel so helpless. One thing that I wish I had was one of these pacifier medicine dispensers. They would have helped my daughter take her medicine so much easier and would have saved me from cleaning up any mess. 3) Subscription to Hulu Plus or Netflix: You won’t be able to keep up with your favorite shows when they come on TV. You might get to sit down for 10 minutes, right when it’s getting to the good part, and then the baby starts screaming. Not only do you have to get up but you wouldn’t be able to hear anything anyway. Keep up with your shows when you can with a subscription to something like Hulu Plus or Netflix. 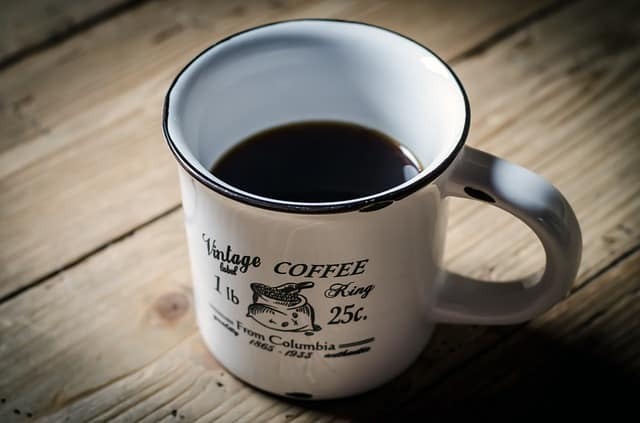 4) Coffee: Stock up on some good coffee because you will need it! The first few months, I was going through 2-3 cups a day when I normally just have a small cup. It was the main thing that kept me going. 5) Baby Carrier: You will be carrying around that baby all the time so get a baby carrier that is comfortable. This is great for running errands or going for walks and hiking if you are the outdoorsy type. 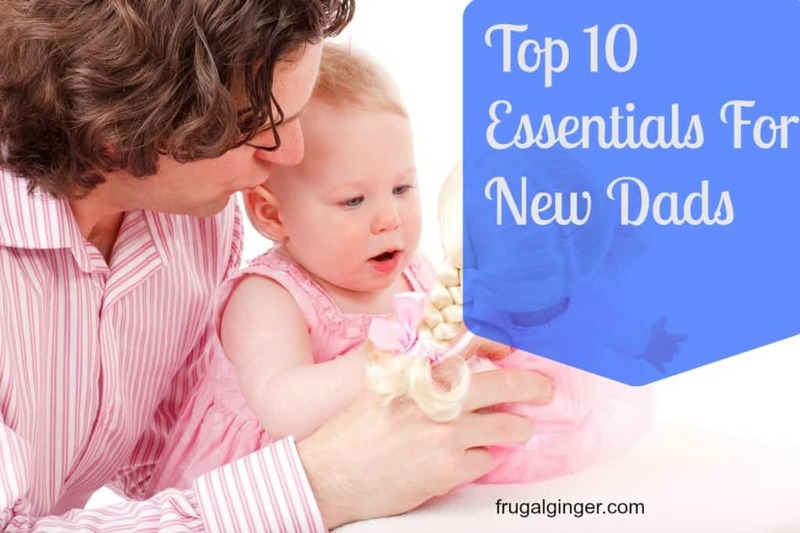 I love the Baby Bjorn We carrier because it is perfect for newborns and can be used as they grow into toddlers. It can be worn on the front or back. I personally have this one. 6) Stop the Dropsy: You have no idea how many times you will have to pick up a bottle or sippy cup. Those kids love to throw things! I love the Stop the Dropsy latches. 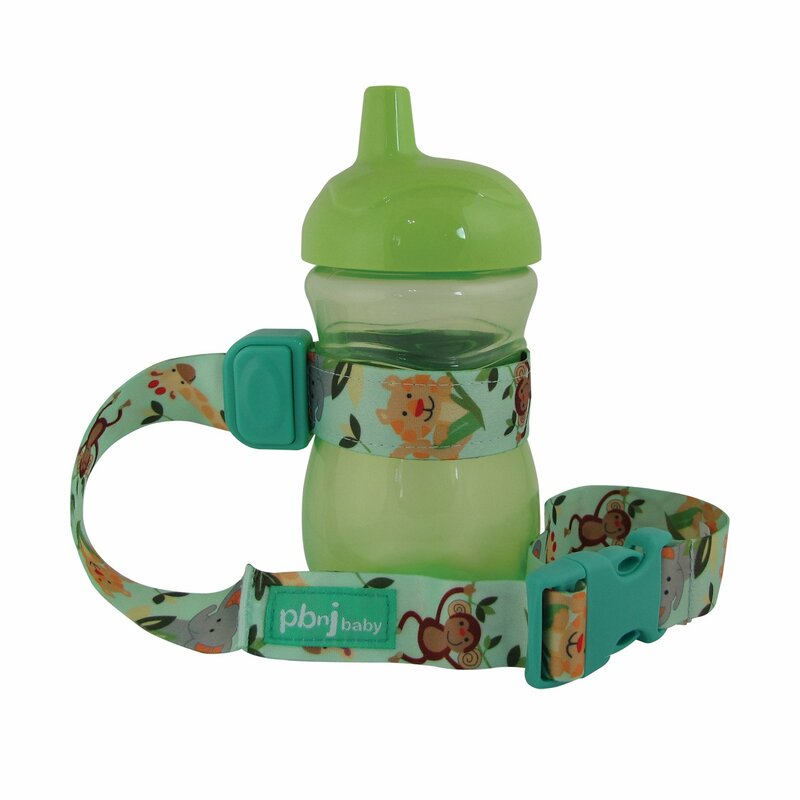 It hooks onto the bottle or sippy cup and the other end attaches to the high chair. You can finally enjoy dinner without having to constantly pick something up. 7) Headphones: If you love to play video games or watch movies, invest in a good pair of headphones, bluetooth especially. Once the baby has gone to bed, you have time to play but God help you if you wake them up! Use a pair of headphones to keep the sound from waking up baby and Mom. They need their rest. 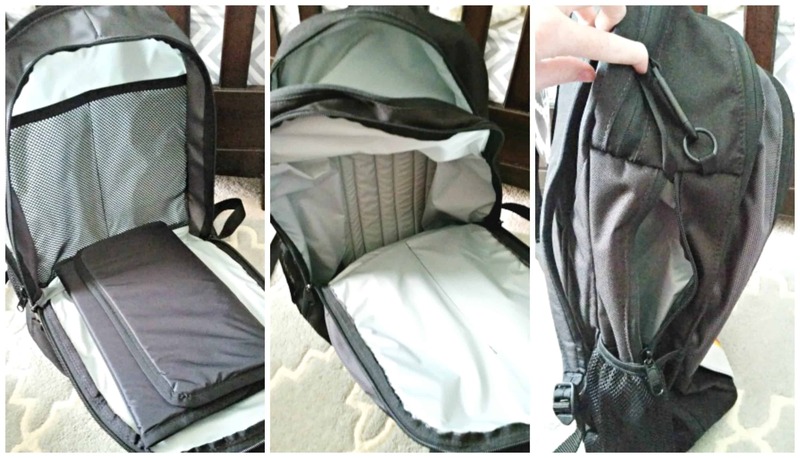 8) DadGear Backpack Diaper Bag: You do not want to carry around your wife’s diaper bag. She may look cute with it, but you won’t. DadGear has Backpack Diaper Bags made just for Dads. These are so cool and they have some really neat and manly designs. There are so many to choose from. My fiancé was sent the Coastal Rays backpack to try out. 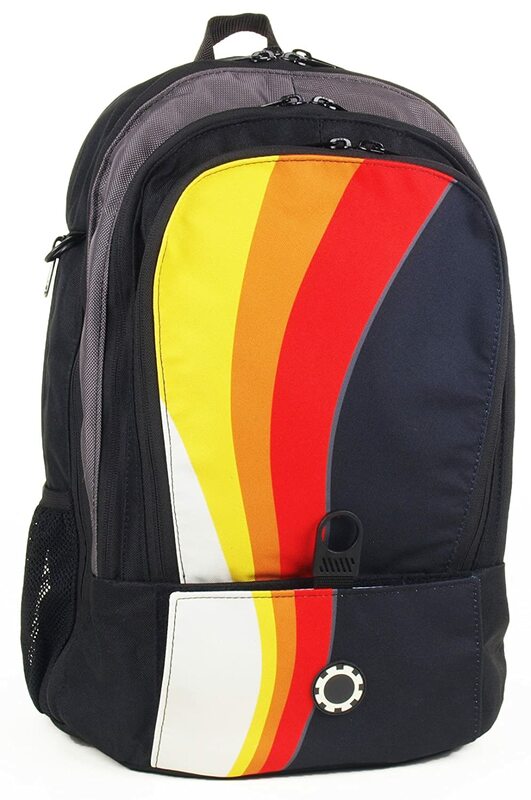 I love that this looks like a regular backpack so that no one would guess that it is a diaper bag. It has so much room for everything you could possibly need. There is even a place for wipes in the front so you have easy access by just letting down the flap! There are compartments on the sides that would be perfect for bottles or sippy cups and even a few snacks. It has a little hammock in the top compartment to keep all of your diapers neat and organized. There are even stroller straps so you can attach it to your stroller. The DadGear diaper bag even comes with it’s own changing pad so you can change your baby anywhere.We love this diaper bag and plan on using it when we run errands together because it is so much easier for him to carry this bag then for me to carry my huge and bulky one. 9) Smartphone: Most Dads will already have this but it really is a life saver. When your child is just inconsolable, you can pull out your phone anywhere and they can watch their favorite video or hear their favorite song. My baby had colic and the only thing that would stop her from crying was hearing the vacuum cleaner. We couldn’t let it run all day so I was able to record the sound on my phone so I could play it when we were away from home. It really helped my sanity! 10) Patience: This is probably the most important thing you will need. There are times where you might think you just can’t do it anymore but just breathe and be a good and supportive husband. Your wife will probably be cranky and moody but that is normal. She did just have a baby! It is your job to help her through this and know that things will never get back to the way they were before because you have a beautiful baby now. Life has just become so much better. Just give it time.